“In high school, when everyone else was getting their summer jobs, I had such a hard time,” she explains. Having been blind since birth, Cindy recalls how many employers rejected her because of her disability – and would say so outright. She vividly recounts one example applying for a job at a dry cleaner’s. When the employer learned she was blind, they exclaimed – to her face – “You can’t do this job!” causing Cindy to run outside in tears. Experiences such as that only made her stronger and more determined to prove how capable she truly was… and help others in the process. 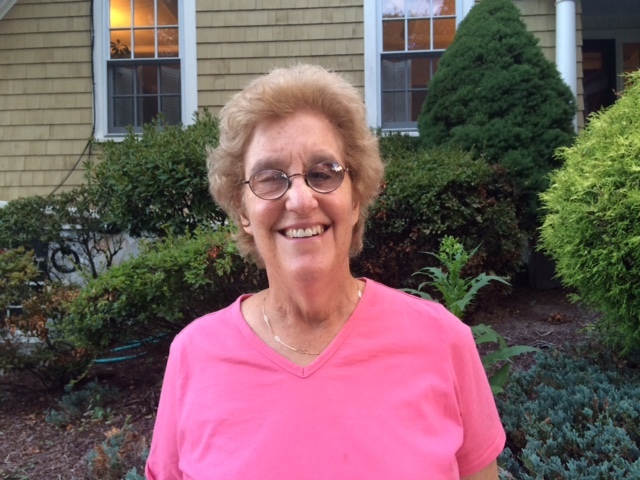 Cindy’s career in human services spanned 40 years, working for organizations such as Partners for Youth with Disabilities, the Boston Center for Independent Living, and the Massachusetts Rehabilitation Commission (MRC), where she spent the last 23 years of her career, retiring from her position as Independent Living Program Supervisor in April of 2015. 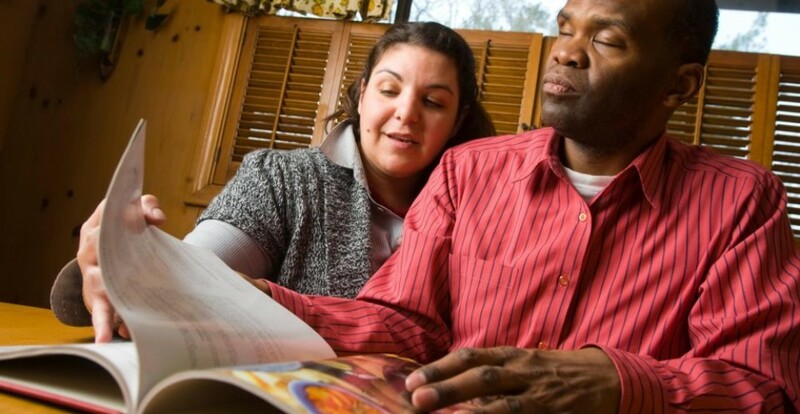 Although she has always been legally blind, Cindy notes that her vision was much more functional when she was younger, but later on she used adaptive techniques and vision rehabilitation services to remain independent and productive. Adaptive technology has been a great help to Cindy in the workplace and beyond, including programs such as the screen reader software Kurzweil and JAWS, as well as Apple’s VoiceOver. One of the largest hurdles to overcome in her career was transportation, but a combination of public transportation and riding with friends or coworkers helped her get where she needed to go. Cindy has also received help over the years from the 1-to-1 Volunteer Program of the Massachusetts Association for the Blind and Visually Impaired (MABVI), which matches a sighted volunteer with an individual who is blind or visually impaired in their area to help on a regular basis with common tasks. Cindy had one volunteer through MABVI in the 90’s and another from 2002-2012, ending when the volunteer moved out to California. Cindy has been with her current volunteer for roughly a year, meeting about once a week to do various tasks depending on her current needs. Cindy notes how impressed she is with her volunteer’s flexibility, helping her with everything from food shopping to paperwork to helping her buy items online. 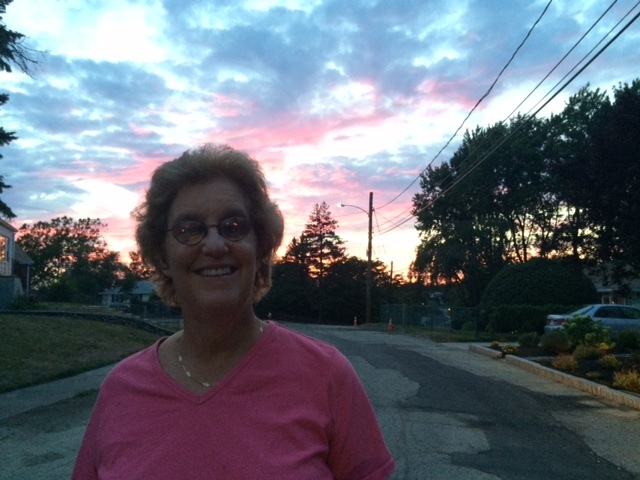 Part of what makes this volunteer match work so well is their proximity to one another – not only is Cindy’s volunteer in her local Watertown area, she lives less than a mile away! If you or a loved one are interested in any of MABVI’s Vision Rehabilitation services, including in-home Occupational Therapy, Orientation and Mobility Training, Adjustment to Vision Loss Counseling, Peer-Led Low Vision Support Groups, and Volunteer Services, call (888) 613-2777 or fill out their online Service Referral Form. If you are interested in becoming a volunteer and lending your sight to someone in your local community, call (617) 972-9119, email jbuchanan@mabcommunity.org, or visit mabvi.org/volunteer. This entry was posted in Inspirational, Vision rehabilitation, Volunteering and tagged accessible technology, adaptive devices, adaptive technology, Apple, blind, Blindness, Boston University, Brandeis University, Cindy Wentz, employment, Kurzweil, Low vision, MABVI, Mass Rehab Commission, massachusetts association for the blind and visually impaired, MRC, occupational therapy, Orientation and Mobility, screen reader, technology, vision impairment, Vision Loss, vision rehabilitation, Visual impairment, Visually Impaired, Voiceover, volunteer, volunteer for the blind, Volunteering, Watertown by mabvi. Bookmark the permalink.